(AKRON, OHIO – April 1, 2015) – The GPD Group Employees’ Foundation recently approved grants to twenty-seven organizations in Northeast and Central Ohio and Central Indiana. The recipients were selected from forty-four applications received during the grant cycle ending January 30, 2015. Nearly $200,000 of awards will be disbursed in this first year by the foundation, whose mission is to make a difference in the lives of children. Akron Children’s Hospital (Akron, OH), for Bibliotherapist Palliative Care Program including staffing and materials, $5,000. Akron Children’s Museum (Wadsworth, OH), for Learning through Play including materials to support community outreach, $1,500. Ann T. Case PTA (Akron, OH), for Playground of Possibilities, a fully accessible playground, $10,000. Art Sparks (Cuyahoga Falls, OH), for Fabulous Fitness, a health and wellness dance curriculum in Akron Public Schools, $3,000. Boys & Girls Clubs of the Western Reserve (Akron, OH), for Great Futures to support at-risk children enabling them to graduate from high school on time, $5,000. Brecksville Broadview Heights Middle School (Broadview Heights, OH), for SWAG with STEM, materials to enhance the STEM program, $18,282. Cleveland Hearing and Speech Center (Cleveland, OH), for Regional Infant Hearing Program which provides screening and support services to children and families, $5,000. Cleveland Sight Center (Cleveland, OH), for Early Intervention Services for children under 3 who are blind or have low vision including vision and development skills assessment, $5,000. Coventry Local Schools (Akron, OH), for Community Playground, a new accessible playground at the future elementary school site, $10,000. Downs on the Farm (Oberlin, OH), for operations expenses to support a program allowing special needs children and adults to interact with a wide variety of farm animals, $2,000. Embracing Futures, Inc. (Akron, OH), for Orthodontic Care Program providing braces to economically disadvantaged families of at-risk children, $5,249. Field Local Schools (Mogadore, OH), for Community Based and Life Skills Education Program providing opportunities for students with special needs exposure to activities in the community, $5,580. Firestone High School (Akron, OH), for Programming for Success to enhance and expand current STEM initiatives at Akron Public Schools, $12,789. Invent Now, Inc. (North Canton, OH), for Camp Invention 2015 scholarships, $5,000. 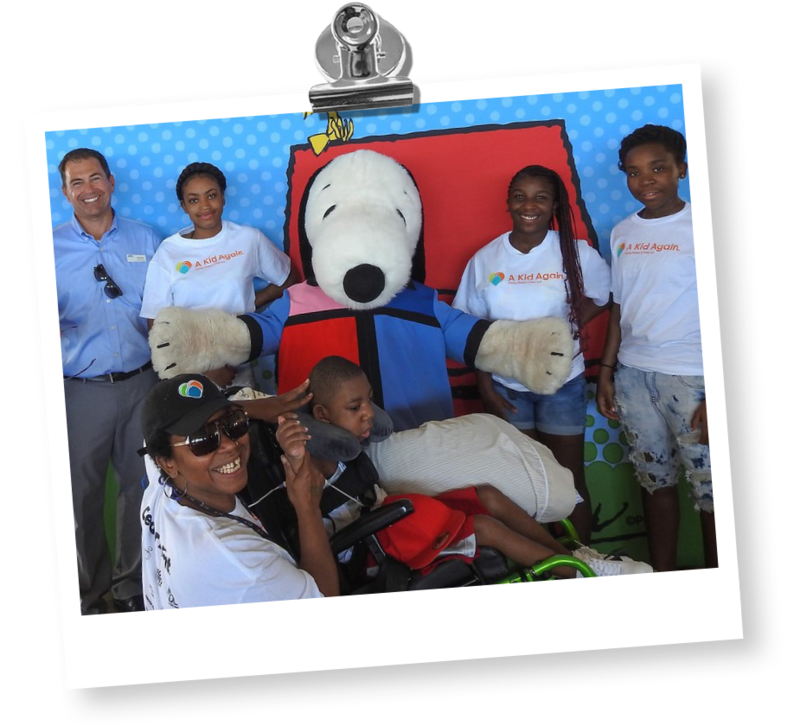 Riley Children’s Foundation (Indianapolis, IN), for Riley Hospital for Children School Program providing ongoing education and school experience to children with chronic or acute illnesses in the hospital, $5,000. Lakewood City Schools (Lakewood, OH), for iPad Infusion to provide access to iPad technology for special needs students throughout the district, $10,000. Ledgeview Elementary School (Macedonia, OH), for Visiting History including a special field trip to Hale Farm and Village, $1,166. Linking Employment, Abilities and Potential (Cleveland, OH), for a school-to-work program for youth with disabilities, $5,000. Marion City Schools (Marion, OH), for iTech for Autism, a program to improve communication and language skills of students with Autism, $19,522. MSD of Lawrence Township (Indianapolis, IN), for Camp Kaleidoscope a summer camp for students with significant disabilities, $20,000. Nationwide Children’s Hospital Foundation (Columbus, OH), for Inpatient Music Therapy to improve patient outcomes by reducing pain perception, anxiety and nausea, $7,500. Parma City School District (Parma, OH), for Giving Voice to All a program to implement ProxTalker technology to enhance communication skill of those students who are non or pre-verbal, $17,000. Perry Township Schools (Indianapolis, IN), for Enriching the Skills of Perry Township Developmental Preschool Students through purchase and installation of specialized equipment to meet the needs of disabled students, $11,355. Stow Munroe Falls City School District (Stow, OH), for American Studies, an interdisciplinary course covering American Literature and United States History including books and field trips, $1,380. Tallmadge Middle School (Tallmadge, OH), for teaching enhancements including a document camera and additional reading materials, $1,000. The Childhood League Center (Columbus, OH), for Project Happy Mouth, Healthy Tummies to increase healthy nutrition for children with allergies, medical issues or poverty and lack of proper nutrition experience, $2,000. GPD Group (GPD) is an employee-owned, full-service A&E firm with over 500 design professionals. Headquartered in Akron, GPD has offices in Chardon, Cleveland, Columbus, Marion, Youngstown, Atlanta, Indianapolis, Louisville, Phoenix and Seattle. GPD Group employees established the GPD Group Employees’ Foundation Inc., a 501(c)(3), in 2014 to help channel donations to enrich the K-12 public education experience and support children with medical and special needs in communities where the firm works. For more information about GPD Group Employees’ Foundation, visit them online at www.gpdfoundation.org or call toll free at 1-800-955-4730.